With Spring right around the corner and the rise of the KonMari organization method, we are feeling inspired to re-evaluate our wardrobes to remind ourselves which pieces spark joy in our lives, and which items might be someone else’s treasure. We believe that a wardrobe should be a reflection of oneself, and we believe in the importance of being thoughtful about each piece in our closets. The purpose of clothing is to dress ourselves in a manner in which we feel beautiful, comfortable, empowered, and inspired, and the KonMari method is a great way to analyze whether the pieces in your wardrobe check off these boxes. You’ve probably heard of this method before on the hit Netflix Original series: “Tidying Up with Marie Kondo.” We at Gladiola are major fans of this trend that has taken the world by storm. 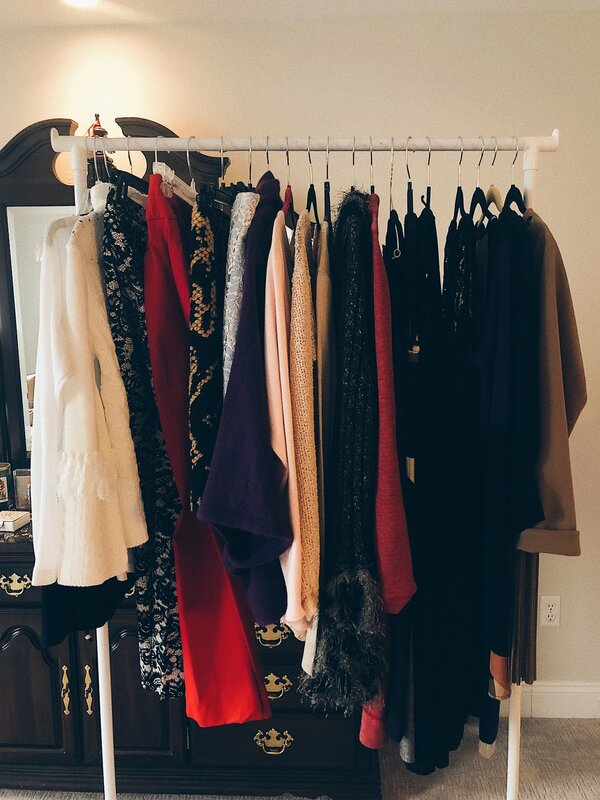 One of our very own Glads, Sydney Pyles, has taken this challenge upon herself to walk you through the process of letting the skeletons in your closet go (you know the ones, they still have the tags on and you keep telling yourself you’re “waiting for the right occasion”), and figuring out what your closet needs for it to be the perfect, personalized capsule wardrobe. She made a trip to the home of one of our shoppers and spent some time learning about her style, what is functional and practical for her while still sparking joy, and what to do with all of the rest! In light of our philosophy of gladness, we feel inspired to empower YOU to make your wardrobe work for you. Eventually, after sifting through all of the items in her wardrobe, they were able to compile everything that doesn’t necessarily fit into her wardrobe onto one single clothing rack, where they could then delegate everything into a donate pile and a consign pile. Sydney suggests using a clothing rack to sort through your wardrobe rather than placing everything into separate piles. Clothing racks are super useful for purging a wardrobe because they allow you to keep things off of the floor, and it keeps everything visible to avoid accidentally placing an item into a pile that you didn’t want to donate/consign. The key is to stay as organized as possible when doing a closet clean-out to avoid making a bigger mess than you began with. 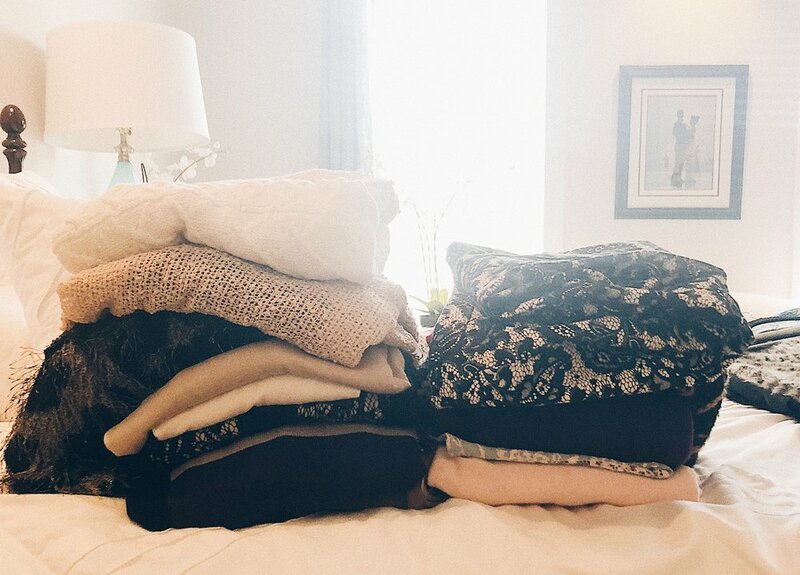 Once all of the items that no longer served a purpose were removed from the closet and placed on a separate clothing rack, Sydney and our Glad community member were able to perform a clear inventory analysis of her current wardrobe after purging it. 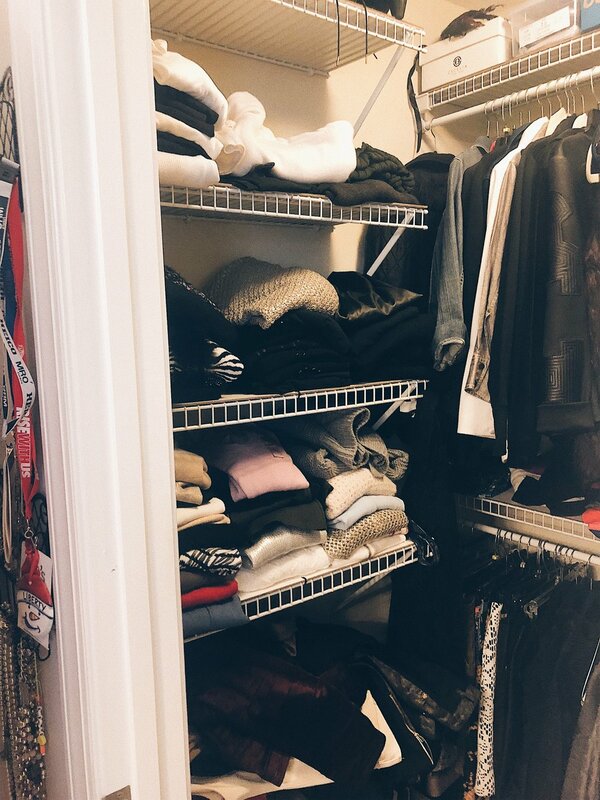 Once you remove all of the pieces and are able to get a visual on what you actually have in your closet, it is much easier to make a list of what you need to fill in the spaces. When you see how many white blouses you have, you’ll be able to remember, “Oh, I am all stocked up on white blouses.” and you will be able to avoid purchasing pieces that you don’t need in your closet, and instead purchase pieces that you don’t already have. Have skeletons in your closet?